Daylight saving time (DST) is the convention of advancing clocks so that afternoons have more daylight and mornings have less. Typically clocks are adjusted forward one hour near the start of spring and are adjusted backward in autumn. Modern DST was first proposed in 1907 by William Willett. Many countries have used it since then; details vary by location and change occasionally. The practice is controversial. Adding daylight to afternoons benefits retailing, sports, and other activities that exploit sunlight after working hours, but causes problems for farming, entertainment and other occupations tied to the sun. Extra afternoon daylight reduces traffic fatalities; its effect on health and crime is less clear. 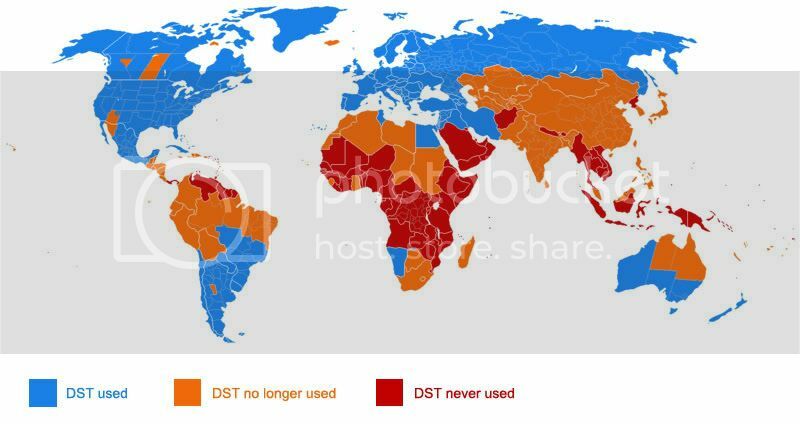 An early goal of DST was to reduce evening usage of incandescent lighting, formerly a primary use of electricity; modern heating and cooling usage patterns can cause DST to increase electricity consumption. DST's clock shifts can serve as fire safety reminders, but they complicate timekeeping and can disrupt meetings, travel, billing, recordkeeping, medical devices, and heavy equipment. Many computer-based systems can adjust their clocks automatically, but this can be limited and error-prone, particularly when DST rules change. At 2 a.m. on March 9, 2008, groggy Americans will turn their clocks forward one hour, marking the beginning of Daylight Saving Time (DST). The federal law that established "daylight time" in the United States does not require any area to observe daylight saving time. But if a state chooses to observe DST, it must follow the starting and ending dates set by the law. From 1986 to 2006 this was the first Sunday in April to the last Sunday in October, but starting in 2007, it is observed from the second Sunday in March to the first Sunday in November, adding about a month to daylight saving time.